Both state and city animal ordinances apply to canines in Philadelphia. The state, itself, tends to decide larger concerns, such as compensation and liability if an animal attacks, while the city determines what rules people must comply with in order to lawfully keep a pet. Pet owners are responsible for taking proper care of their animals, and the city ordinances for dogs ensure that they do. The dog leash ordinance stipulates that canines may not run at large, or roam freely off of the owner’s property. There are also non-bite-related laws, like the barking dog ordinance and another that requires pet owners to remove all feces from their yards within 12 hours. Reports of violations of any of these laws can be made to ACCT Philly, though they will not remove a pet from a home unless instructed to do so by law enforcement. The state is responsible for the vicious dog ordinance, which has a multitude of requirements for owners of animals that are known to have a propensity towards aggression. According to the state dog laws, pets that fit the criteria for “dangerous dogs” must be registered with the Bureau of Dog Law Enforcement and pay a $500 fee each year to remain current. The animal must be on a leash and wear a muzzle any time it is not confined, and the owner must have a sign posted that declares a dangerous dog is present. Among other things, the owner is also required to maintain $50,000 in dog bite insurance coverage and have a $50,000 surety bond, reserved for anyone who is injured by the animal. Failure to comply with the vicious dog ordinances set forth by the state may result in criminal charges being pressed against the animal’s owner. The state of Pennsylvania generally breaks up dog bite cases into two categories- dogs with no history of aggression and known dangerous dogs. When a dog with no history of aggression hurts someone, reparations are based on the severity of the injury. People with minor injuries receive reparations for their medical bills with virtually no questions asked. Those with severe injuries must prove the attack was not provoked, but when this requirement is met, they may receive compensation for time away from work, pain and suffering, property damage, and other losses/ damages. However, the dangerous dog laws stipulate that someone who is injured by a known vicious animal, even if the injuries are minor, may receive the same compensation as someone who was seriously injured. State and city animal ordinances tend to little bearing on a dog bite case in Philadelphia, unless the animal is a dangerous dog. If you or your child was attacked by someone’s pet, the courts will hear your case as a civil matter, and it’s important to have a personal injury attorney who specializes in dog laws by your side to help prove the extent of the injuries and ensure you receive a fair settlement. 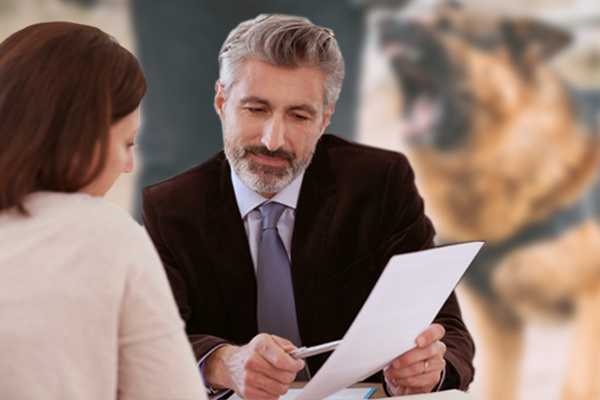 For a no-obligation case evaluation, review the profiles of the experienced attorneys listed on Philadelphia Dog Bite Lawyer and contact one or more of them to schedule an appointment today.